Democratic Senators want federal authorities to investigate whether President Trump's special adviser, Carl Icahn, violated trading laws. The lawmakers sent a letter on Tuesday to the SEC and two other regulators pointing to "troubling" evidence, including "massive" profits Icahn reportedly reaped in the market for renewable fuel credits. "Publicly available evidence raises serious questions about Mr. Icahn's conduct," eight Senate Democrats led by Senators Elizabeth Warren and Sherrod Brown wrote in the letter. 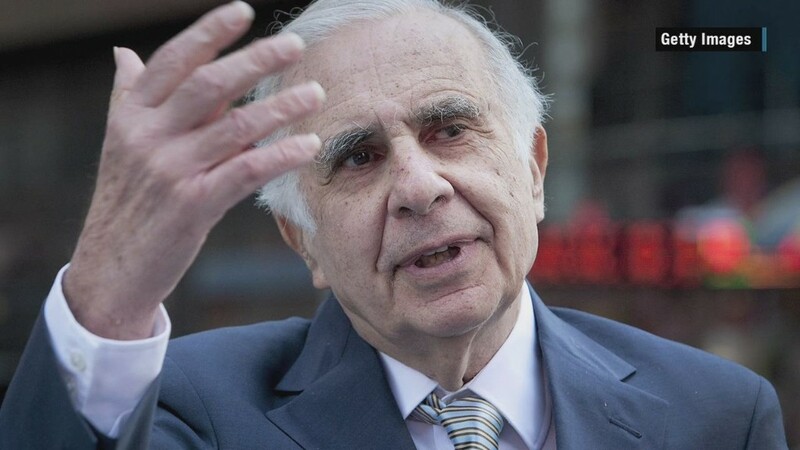 They argue that these profits warrant a probe into whether Icahn, who has retained control of his vast business empire despite being named by Trump a special adviser on regulatory reform, violated insider trading, anti-market manipulation or other laws. Additionally, the Democrats want SEC chair Jay Clayton and EPA administrator Scott Pruitt to consider recusing themselves from this matter. Why? Because Icahn was involved in the vetting practice for both positions in the Trump administration and even met with Pruitt before his nomination. Icahn did not immediately respond to a request for comment. However, in March the billionaire investor dismissed conflict-of-interest allegations in an interview with CNNMoney as "absurd" and "completely ridiculous." He added, "I don't talk to Donald that often." The crux of the controversy is linked to Icahn's continued 82% ownership stake in CVR Energy (CVI), a small oil refinery. CVR has been hurt by EPA regulations that require oil refiners to either blend their oil with renewable fuels or buy credits. Not surprisingly, Icahn has been a vocal opponent of these EPA rules, telling CNN's Poppy Harlow they are "natural stupidity" and could cost CVR $200 million in 2017. Senate Democrats note that Icahn may have benefited from a collapse in the market for these biofuel credits that he helped cause. According to Reuters, CVR Energy, which is majority controlled by Icahn, generated an "extremely rare profit" on biofuels credits by betting against them in the months before Trump took office. Biofuel credit prices plunged after Icahn became a special adviser to Trump. They took another hit after Bloomberg News revealed that Icahn and a trade group presented the White House with a deal to revamp the renewable fuel standard. The collapse in biofuel credit prices allowed CVR to post a net gain of $6.4 million last quarter, a $50 million reversal from last year -- according to Reuters. Senate Democrats want regulators to investigate whether Icahn's conduct violated any laws. They also asked regulators to investigate the "precise nature and extent" of Icahn's communications with Trump officials, including the president himself. The White House didn't respond to a request for comment. A spokesperson for the administration in a previous statement emphasized that Icahn does not have a formal position with the administration. Icahn is "simply a private citizen whose opinion the President respects and whom the President speaks with from time to time."